This is the nearest beach town to Merida, about 20 minutes away on a very nice road. 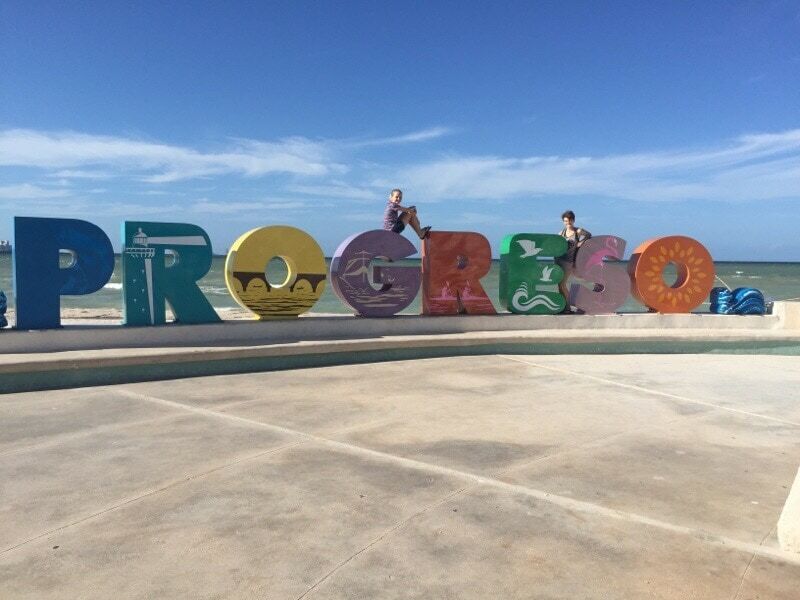 Progreso was a bit of a mixed town. It looks like a lot of other Mexican towns as you drive through, and as you get closer to the port where the cruise ships park it looks nicer and nicer. Their promenade is lovely and it looked like they had a lot of nice restaurants to choose from. I can see how the cruise ships would want to park here and the people who dock would want to spend more time. Any town with a colorful sign is worth a visit! 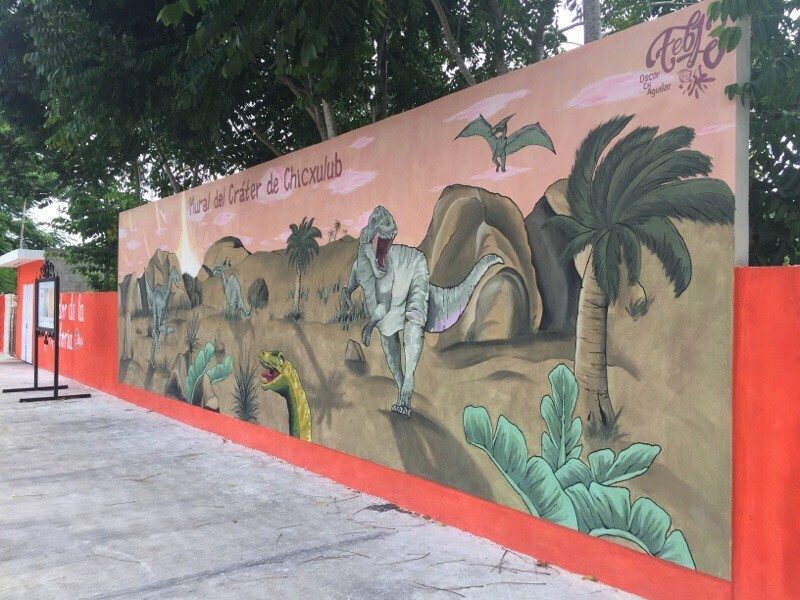 After doing a research project on dinosaurs while we were homeschooling in Panama we learned about this area of Mexico. It’s famous for the crater caused by the asteroid that led to the extinction of the dinosaurs. So it was definitely worth a visit. Unlike the tourist area of Riviera Maya or even the USA, they didn’t have a lot to take advantage of the curious tourists who might pop by for a look-see. But we found a monument, a mural and a pretty horrible bathroom. But they have friendly people and it’s a cute, sleepy little town. 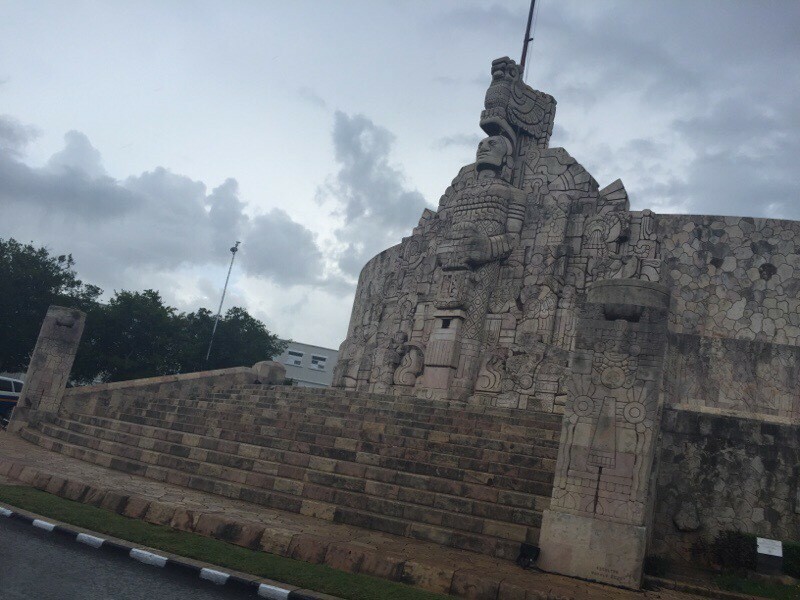 This was their monument in the middle of a traffic circle. Good thing there was not a lot of traffic because you literally had to stand in the middle of the street to get a picture of it. Silly, Mexico. Don’t run over the tourists while they are mourning the dinosaurs! On the other side of the monument was the dinosaur, and a rock. The actual asteroid was a little bit bigger! 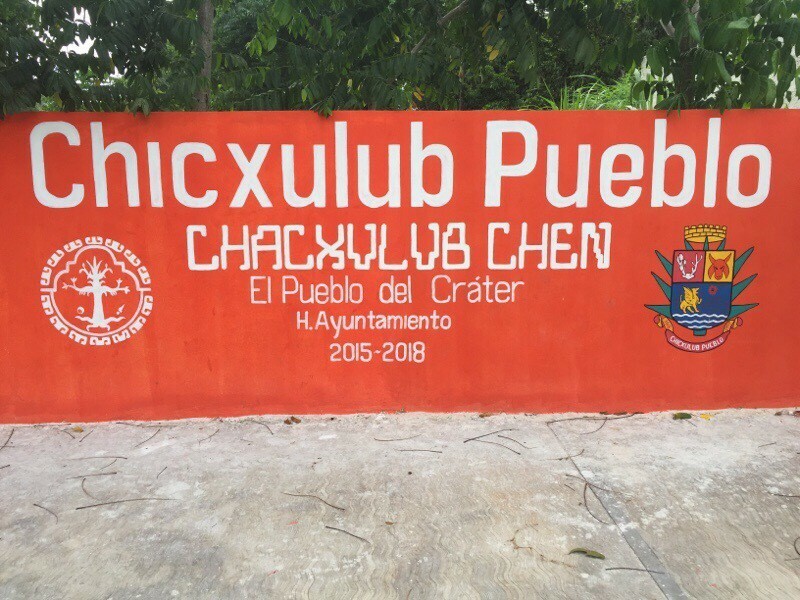 Chicxulub is “the Pueblo of the Crater”. A mural was about the only other recognition of the asteroid. I love caves! Just like I love ruins and now rope! 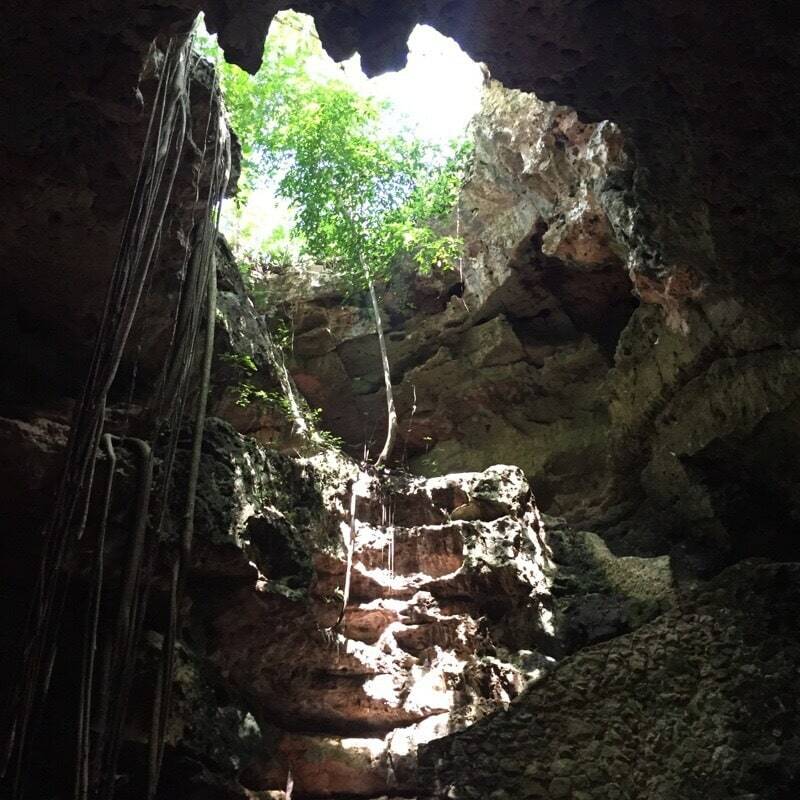 So we had to check out the biggest caves in the Yucatan Peninsula. 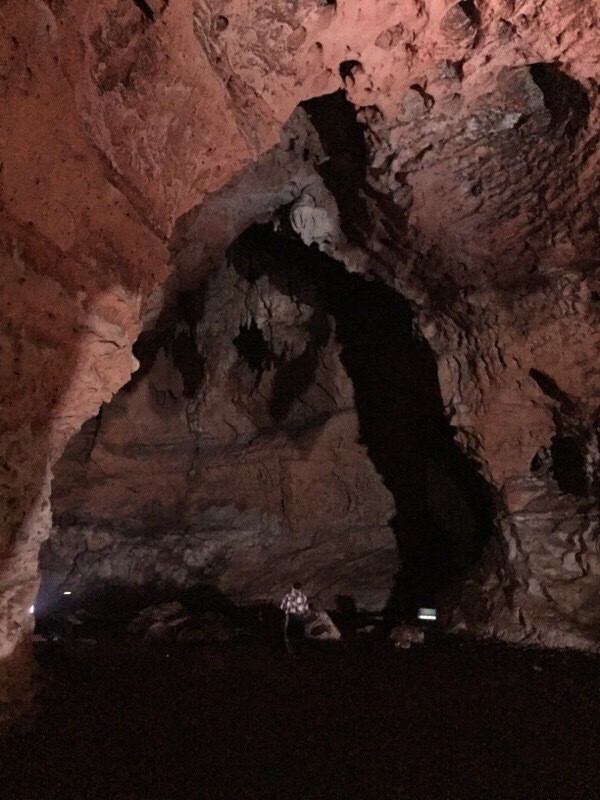 Due to the limestone rock and the underground rivers that were created from that pesky asteroid, there are a lot of caves in this area but this one, at 6 km long, is the biggest. We only got to explore 1 km of it but boy was it cool! Our English speaking guide did a great job explaining how it was used by the Mayans and showing us evidence of their presence there. You can still see the big rock that fell into the cave, creating the hole. Our guide said he used to play with his friends in this cave when he was a kid. Hide and seek would be great here! 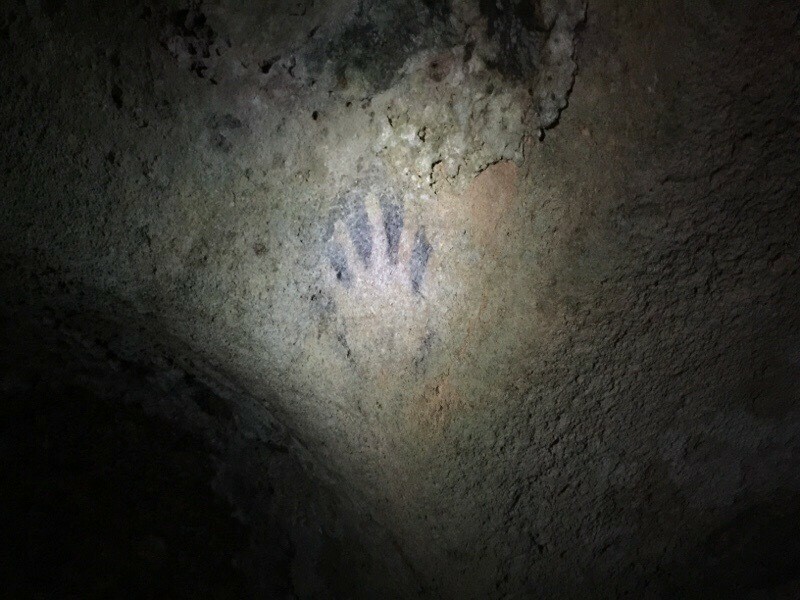 The Mayans left handprints. They are well preserved because they are inside the cave. They had small hands! This area of the Yucatan Peninsula has even more cenotes than the Riviera Maya. 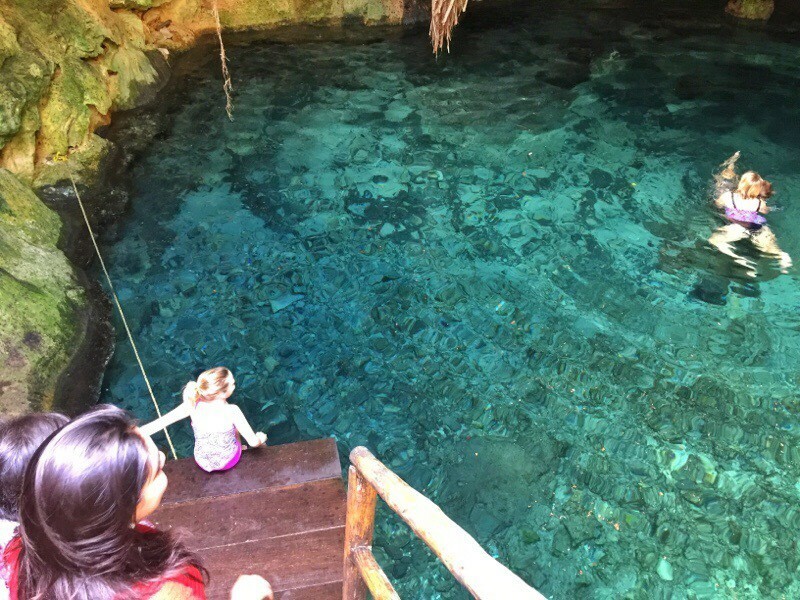 We could spend days just exploring all the cenotes. Alas, we only made it to two of them. 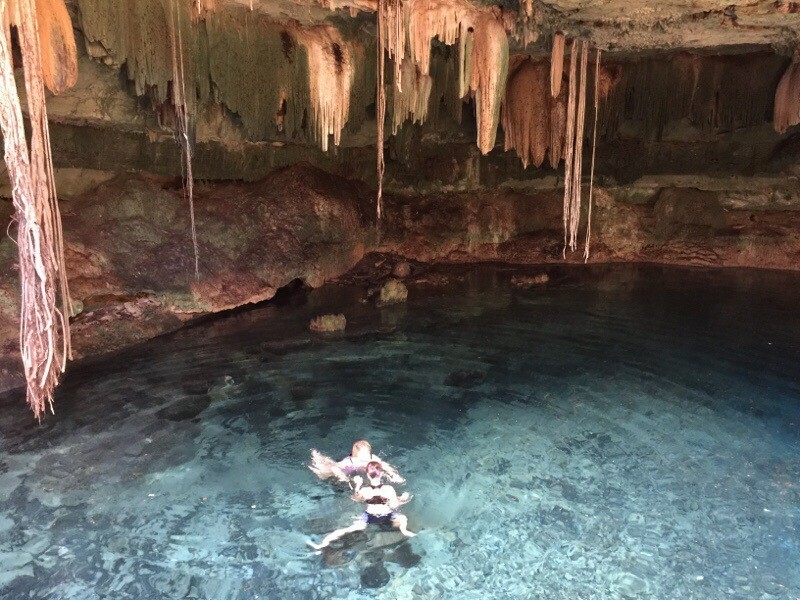 After exploring the caves we made our way through remote towns and found this cenote way off the beaten path. It was a cave one so it was a little cooler but it was fun to explore the water and even stand on a few stalagmites when they were tall enough. After a sweaty cave tour I needed no convincing to get in the refreshing water. Haley and I were fighting over one solitary rock that we could use to stand up in the water. 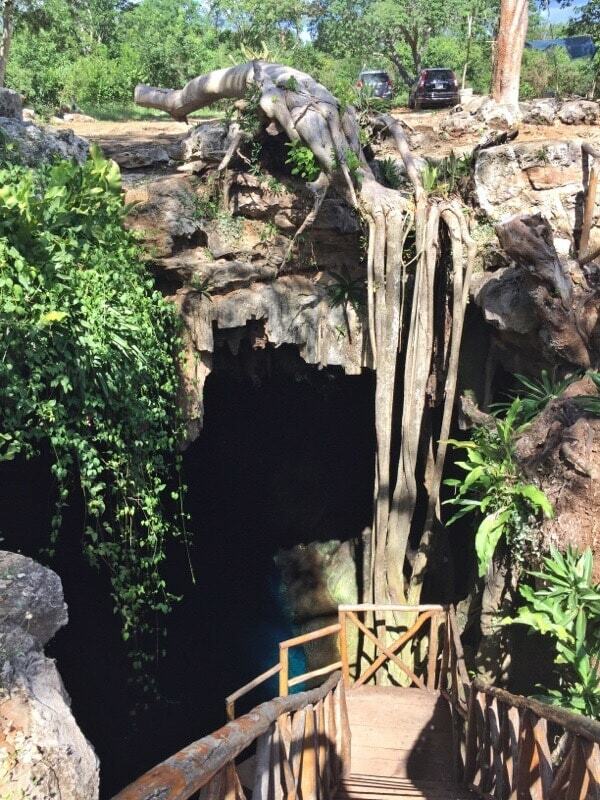 The steps going into the cenote. I love how this tree is growing over the side. The black car is ours and it’s for sale. FYI. We give you good price! Merida has a zocolo, or central square, like many Mexican towns, plus a large cathedral too. 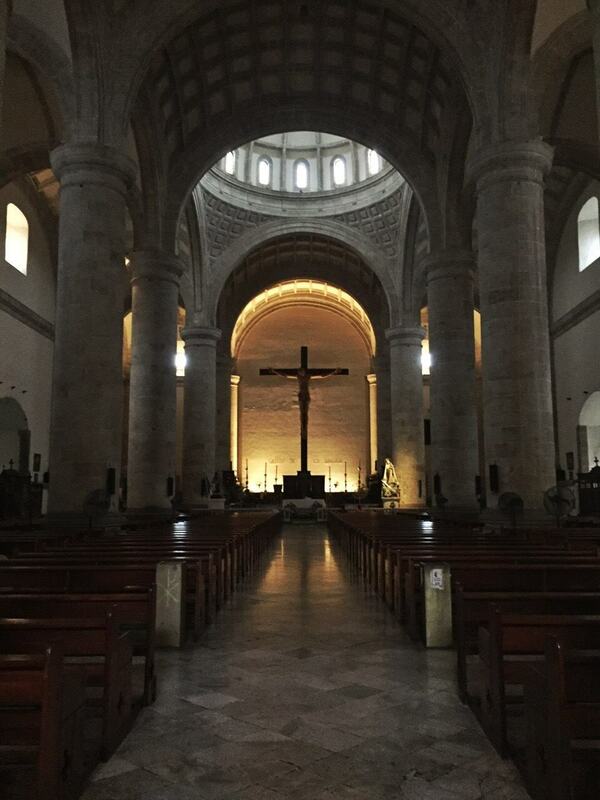 We had to check it out to see how it compared to some of the amazing cathedrals we saw in Puebla. It was different but not our favorite. 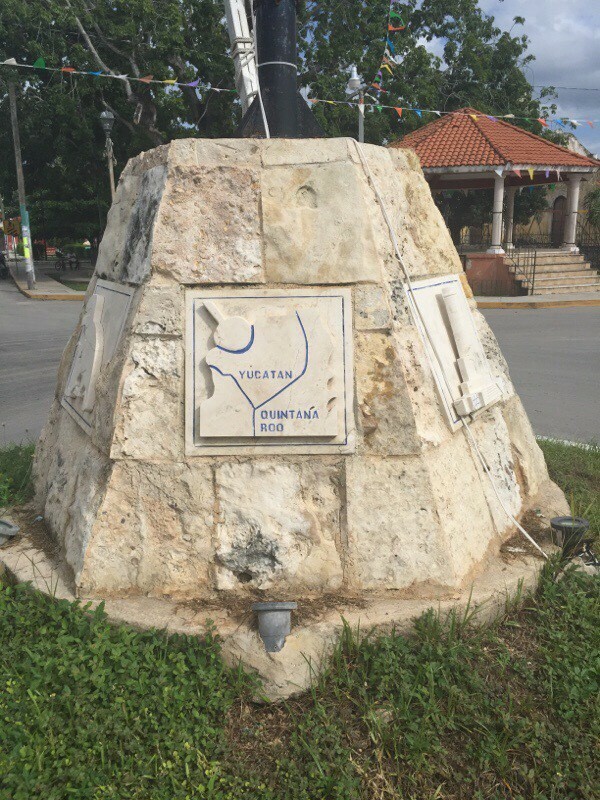 We didn’t get a chance to see any museums in Merida but we loved the Paseo de Montejo which is a road of big mansions that are now used as businesses or sometimes houses. They were so pretty! You could really see the Spanish influence in this town. Another colorful sign means another picture. 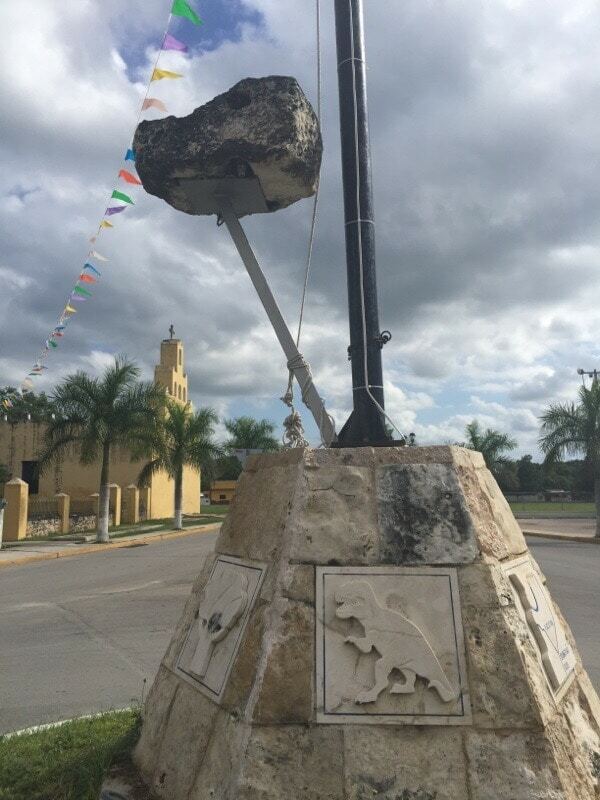 This was a cool monument at one of the round-a-bouts in Merida. I don’t know what it is but it looks Mayan. This was the inside of the cathedral. Photo credit: Haley. Merida is a nice town. It’s more orderly than Cancun and it seems to have a lot more industry. It seems like you’d need a car to get around but it’s also very car-friendly. And they have Uber there, which has only just started in Cancun. So from a liveability perspective, we think Merida would be great. 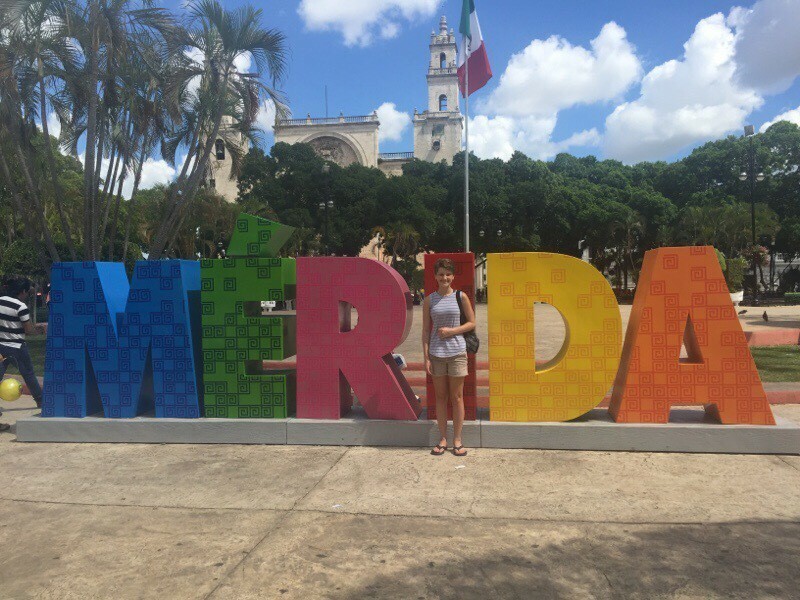 There are a lot of things to do in Merida and around it and we definitely could have spent a lot more time exploring the area. But it’s a toasty town. Everyone in Cancun can’t use the word “Merida” in a sentence without saying “hot” as well. I agree that it’s pretty warm and the humidity does not help. But the area itself is definitely worth a visit.